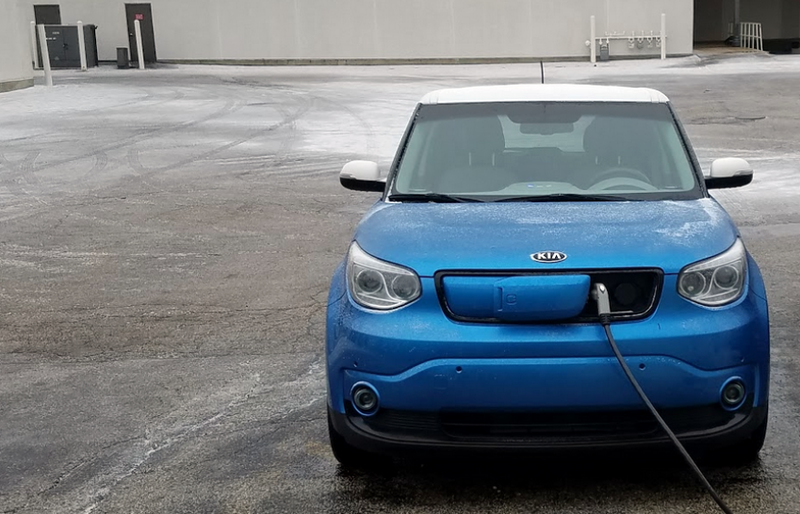 To wrap up our 14-month evaluation of the all-electric Kia Soul EV, each member of the Consumer Guide vehicle-evaluation team has shared their thoughts on their experiences with our long-term test vehicle. 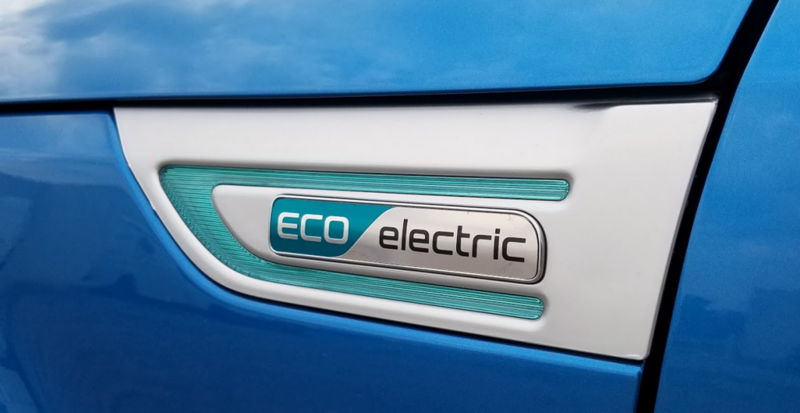 Be sure to explore our monthly updates on the Soul EV for a more detailed look at the pros and cons of living with an electric vehicle. As far as affordable pure-electric vehicles go, the Kia Soul EV is already kind of yesterday’s news. The next generation of sub-$50K EVs has already begun to arrive, and their driving-range numbers represent significant improvements over the Soul EV. The Chevrolet Bolt EV is the current champ, with its 238-mile EPA-estimated driving range, and the Hyundai Ioniq Electric has an EPA-estimated driving range of 124 miles. Both of those numbers handily trump the Soul EV’s 93-mile range estimate. But while driving range is obviously a primary consideration when shopping EVs, it’s not the ONLY consideration. My favorite thing about the Kia Soul EV is that it’s a Kia Soul. I’ve long been a fan of the boxy, tall-body subcompacts and compact wagons, a genre that was kick-started by the recently departed Scion xB. (In fact, the Kia Soul has outlasted both of its closest competitors: the Scion xB and the canceled-for-2015 Nissan Cube.) Within its small, economical footprint, the Soul offers surprisingly good passenger room in both the front and rear seats. 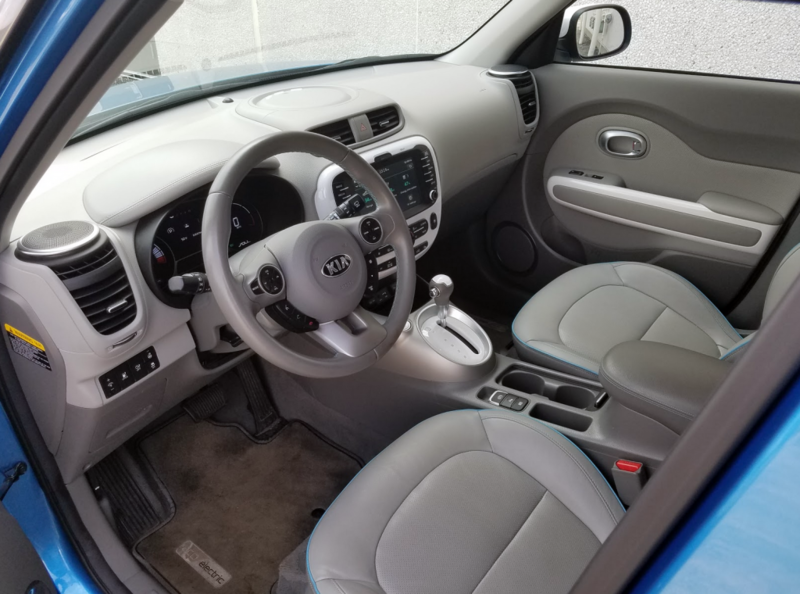 The cargo floor behind the second row is sufficient for a good-sized grocery run, and folding the rear seats opens up enough space to haul an impressive amount of stuff, given the Soul’s tidy exterior dimensions. To me, the Kia Soul’s body configuration is a big asset. At the moment, there are no other affordable EVs on the market that offer the Soul’s slightly raised ride height, tallish body build, large squared-off door openings, and chair-height seats. Speaking as a 6’6”-tall parent of a 3-year-old and 5-year-old, all those traits are godsends, especially in a small vehicle. Wrangling the kids into their car seats is so much easier when you don’t have to bend down and/or deal with a stingy door aperture with a sloping roofline. 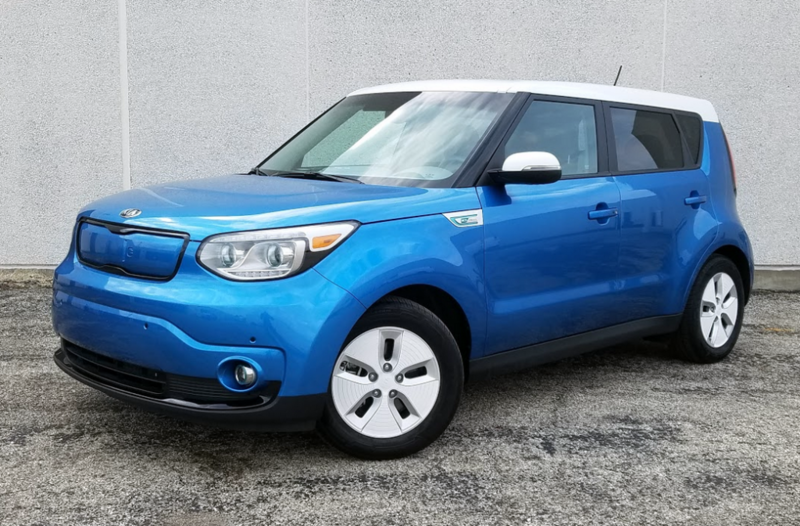 And other than its limited driving range, the Kia Soul EV suffers almost no downsides in the switch from gas-engine to pure-electric power. There are no compromises in passenger or cargo room. Ride quality and handling aren’t adversely affected (though it should be noted that the sporty Kia Soul ! (Exclaim) model does offer sharper cornering capabilities). The EV powertrain is smooth and quite peppy in around-town driving, but acceleration is less than authoritative at expressway speeds. In its 14-month stay with Consumer Guide, our Soul EV long-term tester was pretty much worry-free from a maintenance standpoint. Over almost 11,000 miles, we never had any mechanical problems; the only trip to the dealer was for routine dealer service, which consisted primarily of a tire rotation and brake-system check. While some newer electric vehicles boast driving ranges that nearly rival those of gas cars, the time it takes to fully recharge their large batteries (not to mention the infrastructure expansion required to make that practical) will likely mean that electric vehicles won’t completely replace petrol-burning ones in the foreseeable future. But that doesn’t mean they aren’t great choices for a sizable segment of the population. And our long-term Kia Soul EV demonstrated why. Although its real-world, four-season driving range of 60 to 105 miles certainly limits its usefulness (and is now well below the ranges offered by some like-priced rivals), many other characteristics stood out as real positives. Most appreciated was the “right now” throttle response — something common to almost all EVs, as they use one-speed transmissions that don’t have to downshift (often with significant delay) before more power arrives — along with the convenience of being able to “fill ‘er up” at home or office rather than having to stop (fighting crowds and weather) at a gas station. The ride/handling balance is also worthy of praise (thank the heavy, under-floor battery that serves to lower the center of gravity), as is the quietness of the drivetrain. And let’s not forget the fact that our per-mile “energy” cost was only about three to four cents per mile, a fraction of that of most gas cars. Of course, all of this is in addition to the overall goodness of the Kia Soul — something Damon already outlined — which lost nothing in its conversion to electric power. One other notable advantage, which Damon already touched on. Compared to a gas car, an electric one requires significantly less maintenance, which not only saves money, but also time and inconvenience — an advantage that only grows as the vehicles age. What it boils down to is that electric vehicles would probably fulfill the needs of far more people than actually consider them. 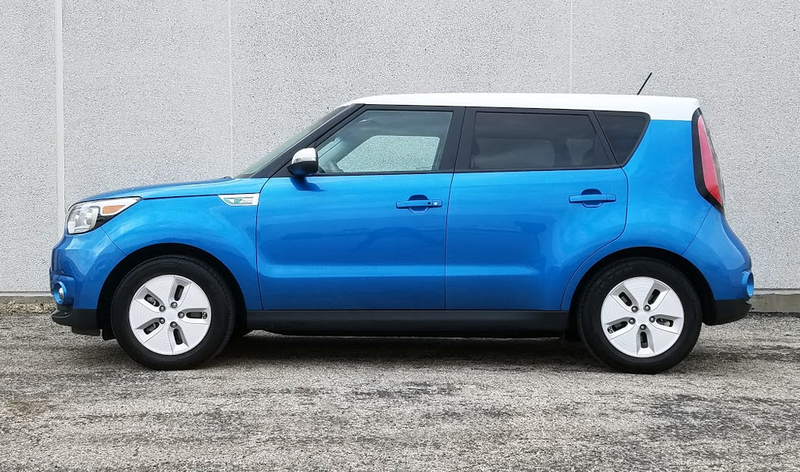 And with current models offering greater range — and upcoming ones likely bringing even more — the percentage of the driving public that could make a case for enjoying the benefits demonstrated by our long-term Kia Soul EV will undoubtedly grow as time goes on. 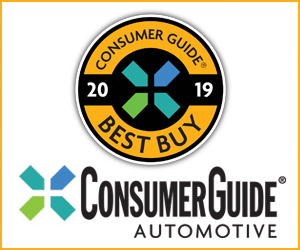 As a proof-of-concept (the concept being an electric car with no packaging compromises), the Soul EV that passed through Consumer Guide’s hands was pretty successful. Without having to surrender any cargo or seat space to batteries, it was a handy mini moving van when helping my son move from one Chicago apartment to another. When presented with lightly travelled late-night expressways, it proved capable of easily hitting spirited cruising speeds. There was no lack of amenities, at least as far as Souls are concerned, and the electric powertrain information presented to the driver was easy to access and understand. (“You have this much charge left and still can go this far” is about as direct as it gets.) Kia’s corporate cousin Hyundai is working on improving and mainstreaming the electric-car experience. Unless the company plans on putting all of its electric-vehicle eggs in the Ioniq basket, lessons learned there could make for a better electric Soul. It’s worth the effort. I really liked how our Soul EV handled. I thought it cornered well, and it honestly never felt underpowered accelerating on the highway; I really never had to gun it to pass someone. For a commuter car, the driving range is pretty good, but I would consider a Level 2 charger a necessity—especially during the winter. I was also a fan of the remote-access functions of the Soul EV’s smartphone app. During the cold months, it was nice to be able to heat up the car a little while it was still plugged in. (This feature can be scheduled through the infotainment system in the car as well.) 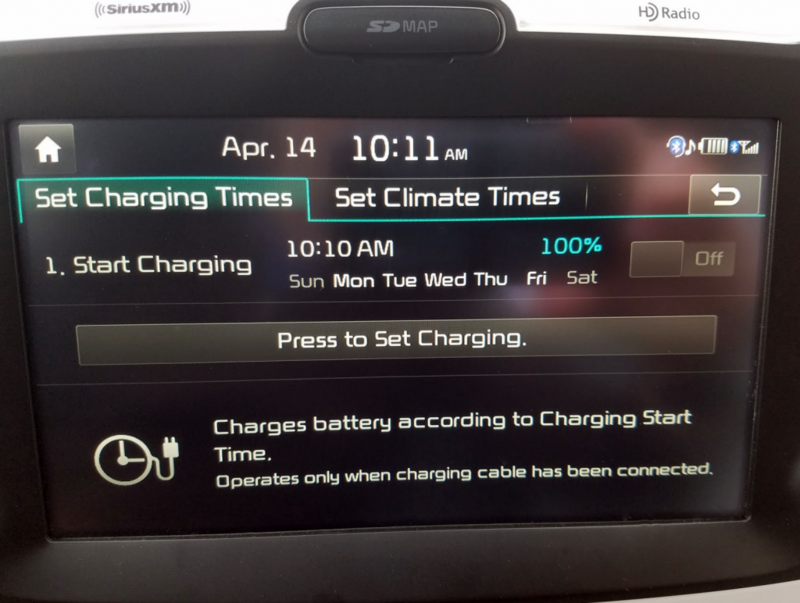 The app also allowed me to see how far along in the charging process the car was, and gave me the the ability to find nearby charging stations, lock/unlock the doors remotely, and find the car in a crowded parking lot. The interior is modern and cheery, and surprisingly spacious… so much headroom! In all, I looked forward to driving our long-term Soul EV whenever I had the opportunity. The question was never really whether or not we could live with an electric car for a year, but rather how easily we could do so. I recall well Consumer Guide’s one-year stint with the Mitsubishi i-MiEV. The dinky little i was a pioneering effort to be sure, but its cramped cabin, approximately 60-mile range, and lack of road isolation were serious impediments for most of our team. Driving the Soul EV was nothing like that. 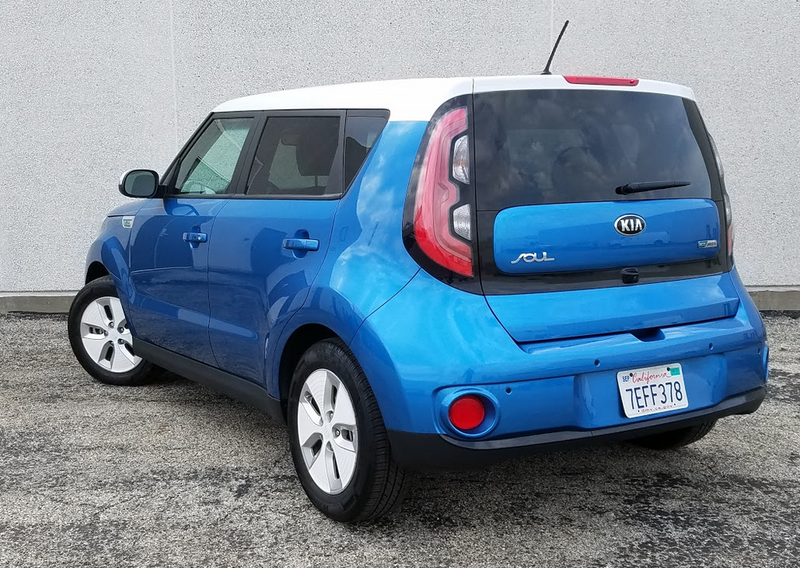 One reason the Soul EV was so popular here at Consumer Guide HQ is that the Soul itself—in any form—is much appreciated for its functionality and spunky character. 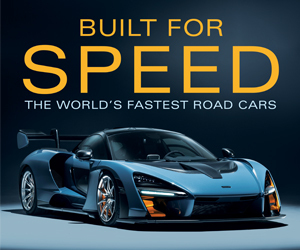 Adding a responsive electric drivetrain to the Soul only endeared the car to us even more. With about 100 miles of real electric range, our long-term Soul EV taught me as much about the American driving condition as it did about electric cars in general. What I learned is that it’s fairly easy to live with an EV if you don’t frequently need to travel outside the radius of your car’s battery range—and this simple point is key. The truth is, most of us at Consumer Guide, like most commuters, do most of our traveling in a fairly condensed area. The real question to ask before going electric is, how will you manage periodic travel outside of that area? If you only travel longer distances on rare occasions, renting a gasoline-powered car becomes an option. For my wife and I, the solution would be for one of us to drive an electric car, the other a gas-fueled vehicle for our occasional jaunts from Chicago up to Wisconsin. The big adjustment for many American drivers is shaking the notion that their car must be able to travel 300+ miles on a single fill/charge, even though 97 percent of their travel is comprised of trips under 20 miles. All that said, the Soul EV was a delight to spend time with. I’m a fan of this clean, efficient, and likable Kia, and hope that the brand’s forthcoming all-electric Niro will be at least as rewarding to operate. Written by: The Daily Drive staff on September 6, 2017.on January 9, 2018.